Kat Martin is back with a new Brodies of Alaska novel and this one may be my new favorite. Be sure to check out AGAINST THE TIDE! Her last eleven books have hit the prestigious New York Times bestseller list. Both AGAINST THE WILD and AGAINST THE SKY, her latest release, took top ten spots. AGAINST THE TIDE the 3rd book in the Brodies of Alaska series hit shelves on May 26th! Currently, Kensington is publishing my Romantic Suspense novels. In AGAINST THE TIDE, RafeValdez, Alaska. It's a majestic but harsh and remote place to live. Fascinated by the new owner of the Pelican Café, Olivia Chandler, Rafe begins to wonder why such a beautiful young woman would want to hide herself away in such a place. Thanks to Kat for sharing her journey to publication with us today. Readers, how did you discover Kat Martin's books? Did you first discover her as an author of historical romance or romantic suspense? How you were first introduced to the romance genre? One person who leaves a comment will receive a copy of AGAINST THE TIDE. I discovered Kat via historical romance--the Bride Trilogy. I'm looking forward to reading Rafe's story. Thanks for the post and giveaway. I discovered her through her historicals too. Hope you enjoy Rafe's story as much as I did! I discovered romance through an old Harlequin don't remember the title. I think Harlequin was responsible for opening the doors of romance to a lot of readers. I can't remember which one of Kat's books that I read first but I've really been enjoying them even to the point that I will read out of order lol. I missed this one somehow. Kathleen Woodiwiss is the one that really got me hooked on romance although I had read others. This one just came out, catslady. 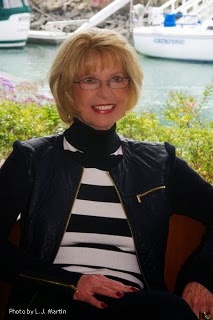 Woodiwiss is another author responsible for introducing a lot of readers to romance. I first found the romance genre with Sherrilyn Kenyon's Fantasy Lover and was instantly hooked. I will read just about anything as long as there is romance in it but tend to lean toward Contemporary, Suspense and Paranormal with a Historical and YA/NA thrown in every now and again. So I found Kat's romantic suspense books first. In fact I haven't read one her historical yet since those are so few and far between for me. I enjoyed her historicals but I love her romantic suspense novels! Thanks for stopping by, Texas Book Lover! I've discovered a lot of new authors through social media. It's a great place to find books! Read the book. It was fantastic! One of her best! I agree, Debbie! I was on the edge of my seat through the entire book and I adored Rafe! Through her romantic suspense books! I first discovered Kat Martin through her romantic suspense books. My introduction into the romance genre was through Jayne Ann Krentz's Harlequin books.